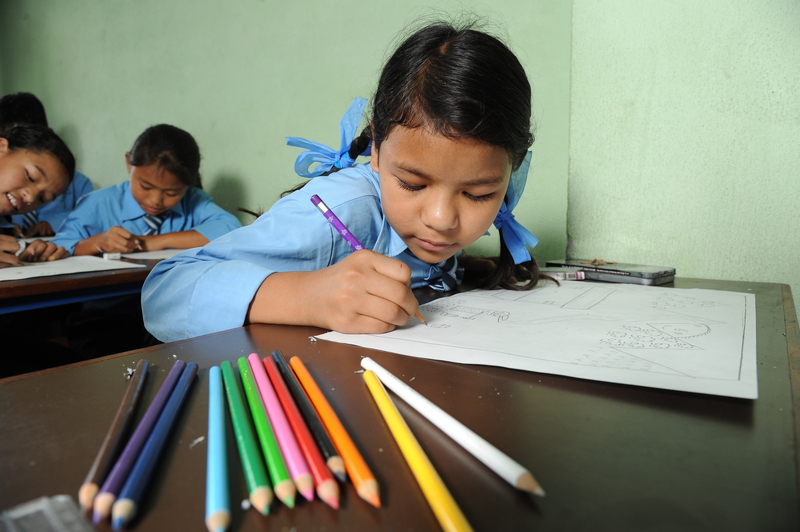 Drawing is a powerful creative outlet for children to express their views on what peace means to them, their families and their communities. 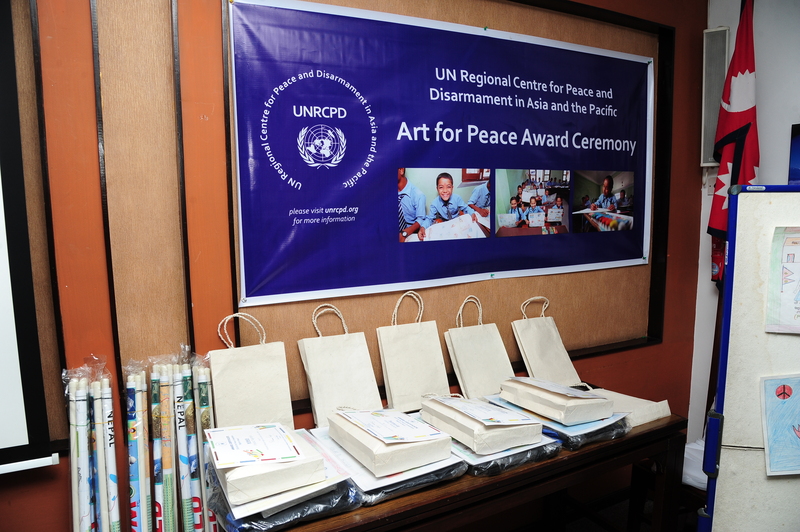 Launched in 2012, UNRCPD’s annual Art for Peace competition has reached over 1,000 students, and has supported UNRCPD’s Peace and Disarmament Education Programme by allowing students to reflect on the importance of peace in their lives. 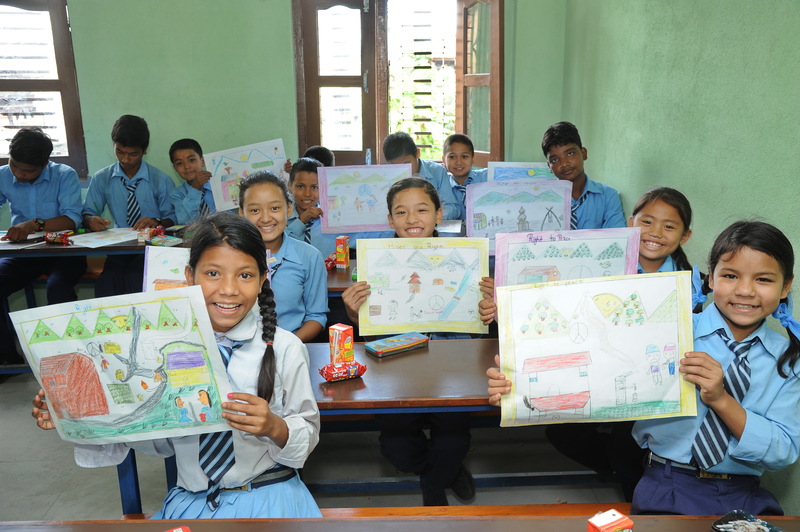 For many children, this programme is a unique opportunity to be creative and to express themselves, as drawing and art are not part of the school curriculum. Centred on the theme of the 2014 United Nations International Day for Peace, ”The Right to Peace”, this year’s Art for Peace Competition taught children about the links between peace and human rights. 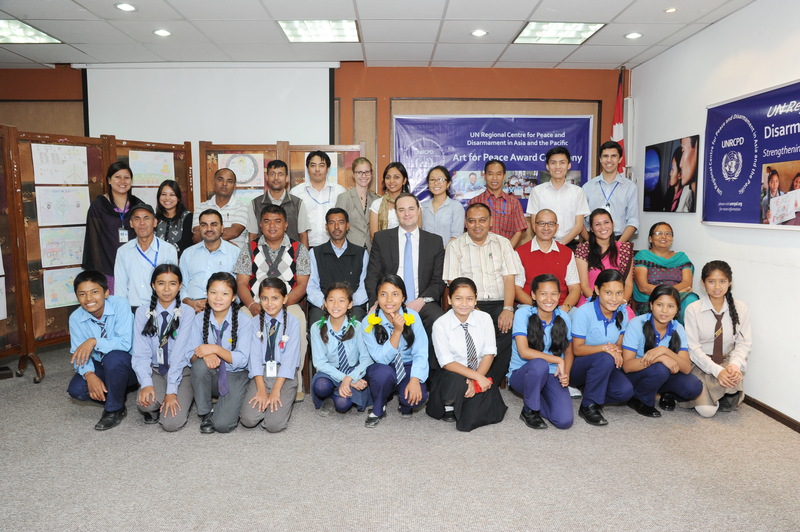 First, they reflected on the importance of peace and human rights in their daily lives and for their communities. 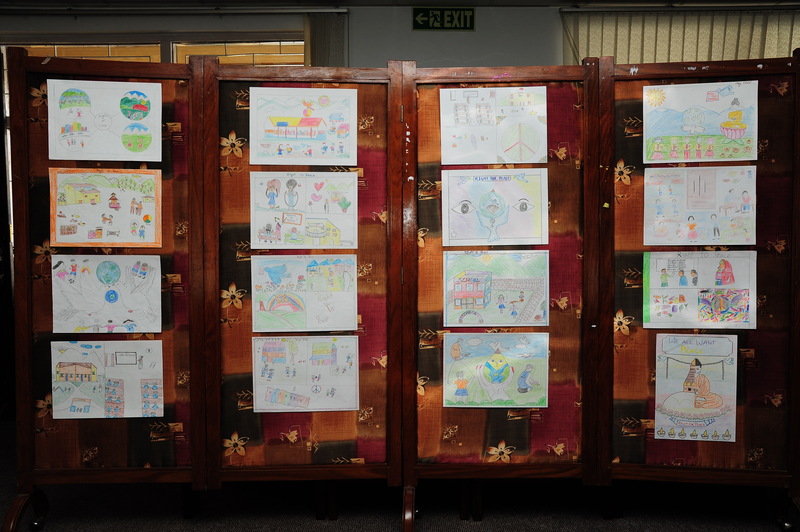 Second, they expressed their thoughts on peace and human rights through their personal artwork. Designed as a competition, UNRCPD will choose a finalist from each age category and select an overall winner. Following the International Day for Peace, an awards ceremony will crown the competition on 24 September, to which a delegation of each participating school will be invited. 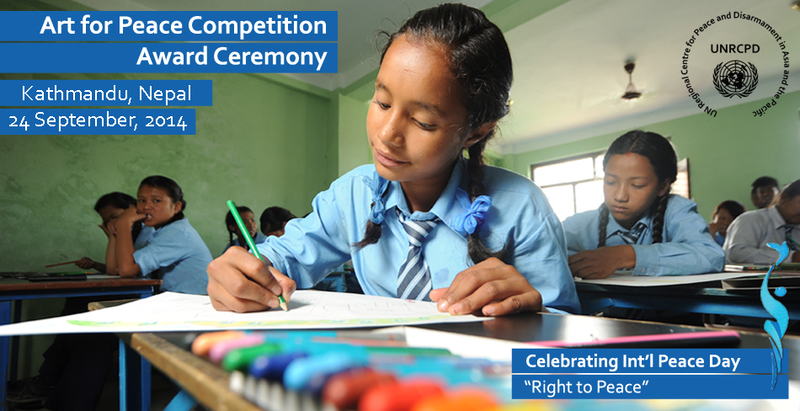 Winners will receive prizes towards their education. 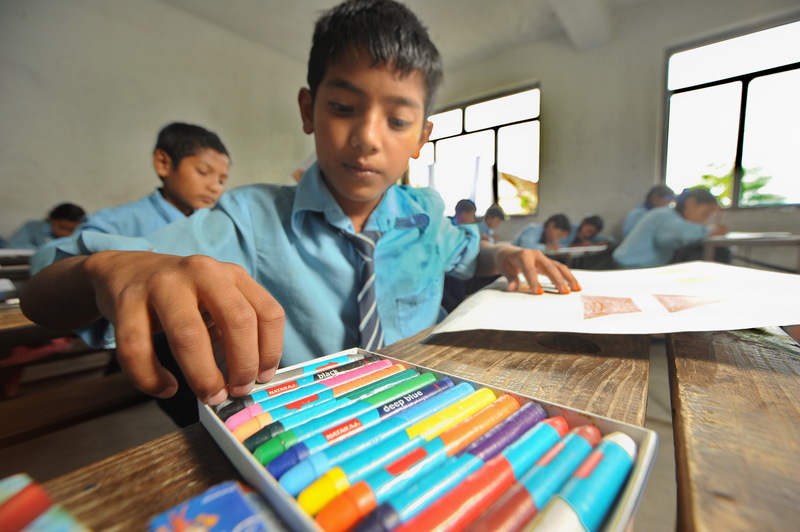 Funded by private donations, the received money goes to the purchase of drawing paper for each student and colouring utensils for classrooms, the organisation of a competition awards ceremony for the participating children and schools, their transportation to the ceremony and prizes for winners and all participants. 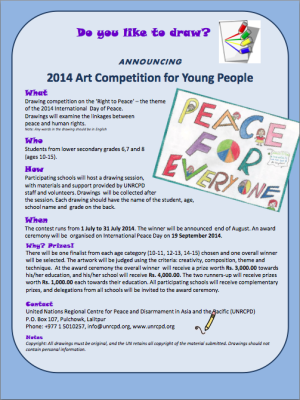 For more photos of the 2014 Art for Peace competition and the award ceremony please click here.